Hey kiddies, it’s that time of year again – time to traipse out to Cambridge (NOT Boston, as I’ve pointed out year after year after year…) to the Brattle Theatre and take in all the fun weirdness in film that will be celebrated at the 2019 Boston Underground Film Festival! This year’s lineup has something for everyone, and it’s gonna be AWESOME! It’s day four of BUFF, and it’s a FULL DAY of fun today, with one screening at Harvard Film Archive, and the rest at the Brattle as always. Below, you’ll find today’s schedule – click on the links for full show information and ticket information – but buy your tickets EARLY – these shows have a history of selling out, and you don’t want to miss out! As always, if you don’t have a pass, but have tickets, get in line early – and there will be a rush line for all films if any tickets are still available. I cannot stress this enough – GET TICKETS EARLY – they could sell out at any moment!!! The Brattle Theatre, home to BUFF for six years running, is located at 40 Brattle Street in Cambridge. Public Transportation is less than a block away if you so choose to use the “T”. We’ll have your schedule every morning during BUFF’s run, and links to film and ticket information. 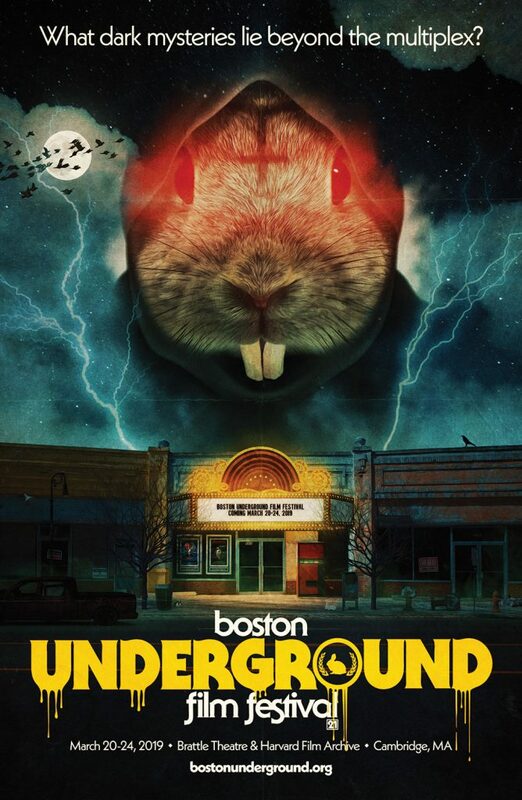 We’ll also be covering BUFF and the other NINE festivals and film series that happen in greater Boston between March 1 and May 1 every year coming up in late May on our two part “Boston Springs A Fethival” episodes of eCinemaOne‘s Subject:CINEMA podcast! See you Sunday with more -and DON’T FORGET, it’s a FULL Day of festivities as BUFF concludes it’s annual fest!